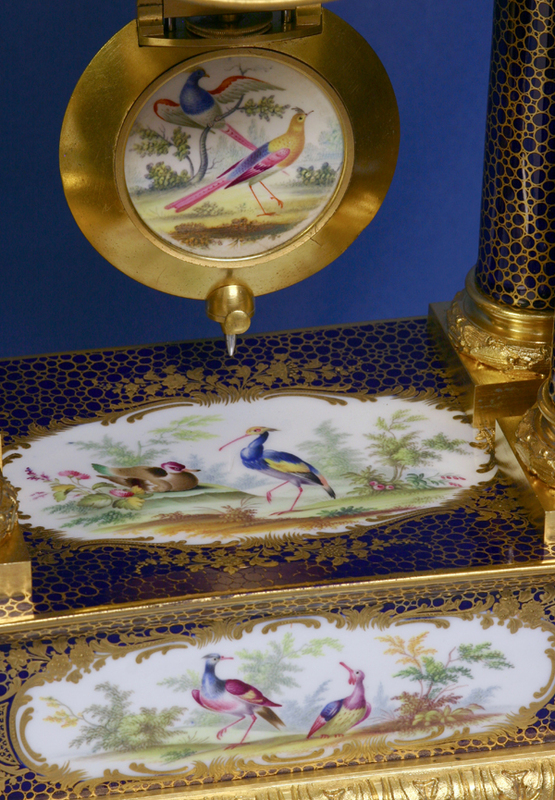 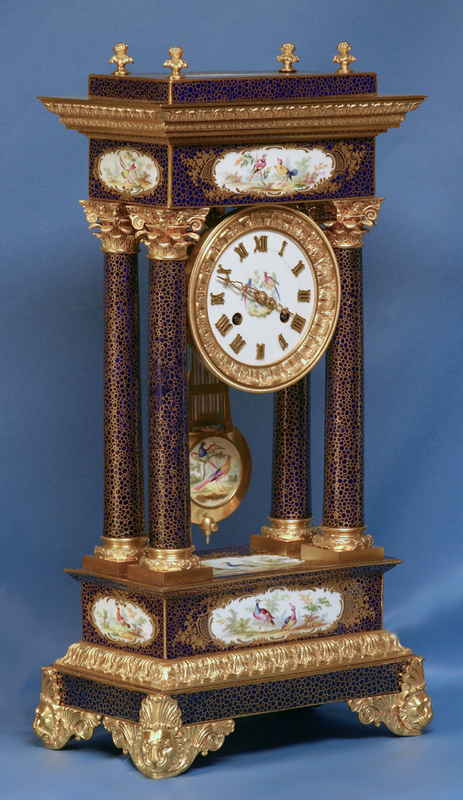 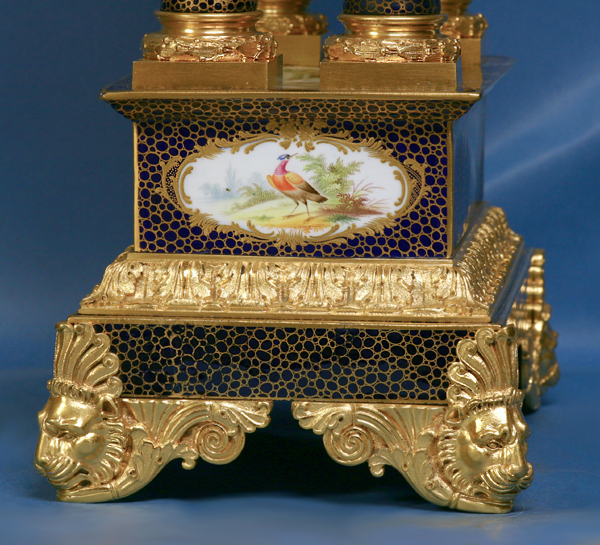 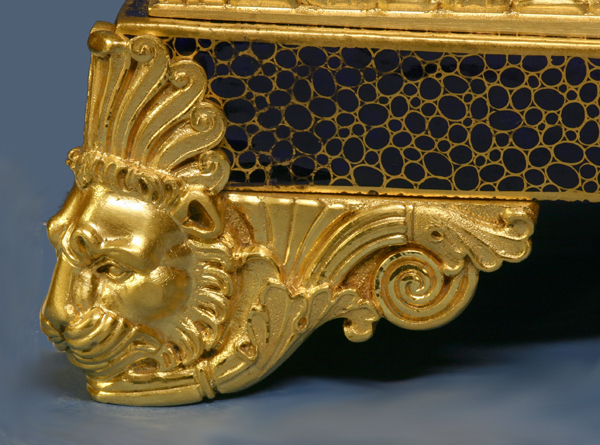 The fine blue porcelain case with circular gilt decorations has detailed polychrome landscape scenes with birds on white grounds bordered by decorative scrolling gilt work. 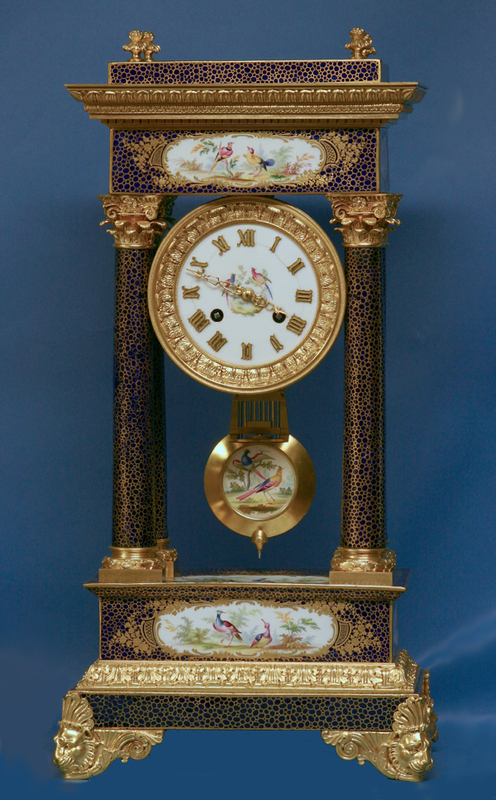 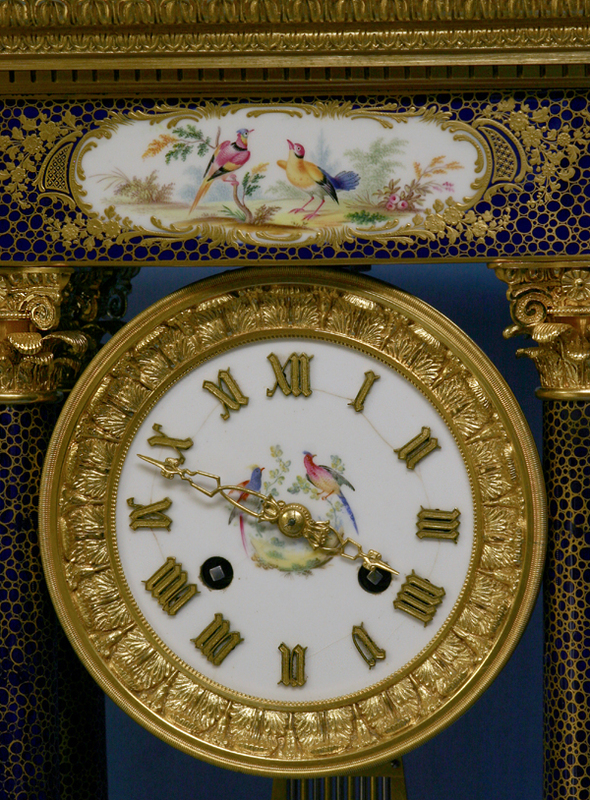 The circular white porcelain dial with polychrome birds has stylized gilt-bronze hands and Roman numerals for the hours. 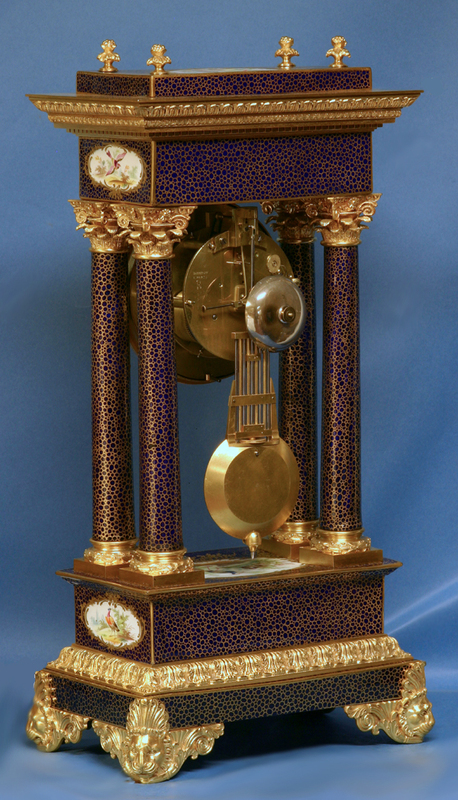 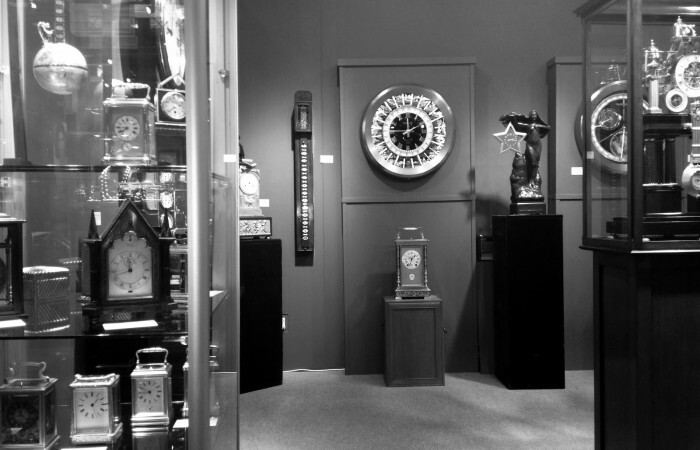 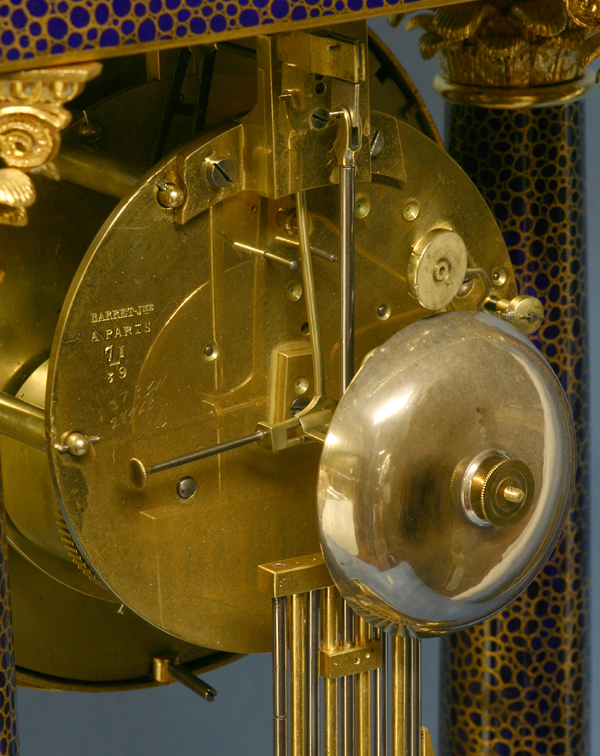 The circular eight-day time and strike movement has a pinwheel escapement with a heavy grid-iron pendulum, a screwed beat adjustment on the crutch, strikes on a bell and is stamped by the maker ‘Barret Jne/A PARIS’.